Growing up in Belo Horizonte, Brazil, I saw firsthand that where you live is often the single greatest determinant of health and life expectancy. In Brazil, 75% of the population does not have private health insurance. Long lines at outdated public health clinics for the most basic services are a normal part of everyday life. After university, graduate school and with a decade of professional experience under my belt, my career brought me to the US. In 2001, my wife and I were blessed with twin daughters, who were born prematurely. Thankfully, we lived in Erie, Pennsylvania at the time, not in Belo Horizonte. Our daughters received the best possible care any parent could ask for, at the University of Pennsylvania Medical Center Hamot. The stark contrast to the type of care they might have received in my hometown is etched in my heart and mind. As a father, I am deeply grateful. As a professional who has spent a career in healthcare, I am struck by how much work remains to be done on access and inclusion. Not only in Brazil, but also in the US. 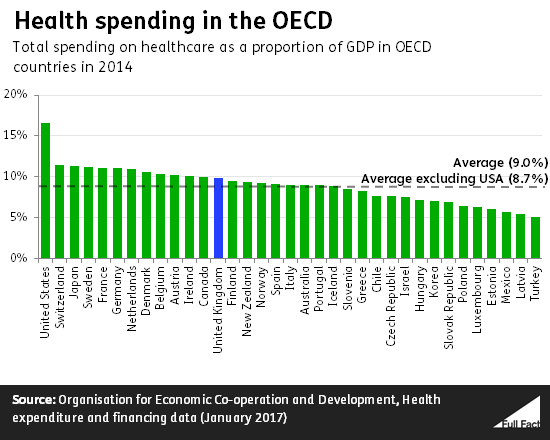 Despite being at the forefront of medicine and spending 18% of GDP on healthcare - almost twice that of other developed countries - most Americans are no healthier for the investment. Access to care remains a privilege. Overall, according to the most recent Philips Future Health Index, the value and efficiency measures of US healthcare are below average for the 16 countries covered by the index. In that regard, the US has a lot in common with Brazil, and with other markets with large populations such as India and China. We find ourselves in a history-making dichotomy: though medicine advances, the life expectancy rate in the US is declining. The reality is that one’s zip code remains a major determinant of healthcare, with people just one postal code away from a vastly different opportunity at longevity, as evidenced by a 2017 analysis across US geographies. Typically, in urban areas healthcare boasts some of the world’s most innovative applications of technology; offers care from the most sophisticated clinicians; and pioneers advanced research that could affect billions of lives. Other zip codes are plagued by infrastructure challenges and lack of access to treatment and medical products. Nowhere is this more true than in areas separated by distance, income and opportunity. As the United Nations calls for universal healthcare by 2030, the challenge in the US alone may seem intractable. America’s sprawling geography, temperate climate and topography have made it possible for the population to spread into all sorts of plains, nooks and crannies, rather than cluster in a few habitable pockets. That distribution, which has been a boon to agricultural, industrial, and cultural diversity, has presented a particular challenge to healthcare that is only intensified by the current transition from a fee-based to value-based model. How do we seamlessly deliver high-quality care to more people in more places, and do it at a lower cost? Just like how the transcontinental railroad “solved” America’s geography challenge generations ago, telemedicine is seeking to solve the zip-code-driven challenge of healthcare access now. With the more data-driven and connected approach promised by telehealth technologies, healthcare delivery will no longer be tied to particular locations or structures. Telehealth - the provision of healthcare remotely through telecommunications networks - can extend the reach of healthcare to places like the home, as well as remote or formerly underserved areas. It can also connect physicians with each other, allowing for faster diagnosis and enabling expertise to break free of organizational or geographical binds. In other words, the train has arrived - we just need to get all aboard. Early results indicate the engine is beginning to chug along. The Philips Future Health Index also shows rates of adoption of “remote patient monitoring” services are much higher in the US than in other Western countries with comparably sophisticated healthcare systems. Remote patient monitoring is an emerging field that combines interconnected equipment and data analytics applications, allowing for high-quality care of patients outside typical clinical settings. One major healthcare institution that has seized the telehealth opportunity is the US Department of Veterans Affairs (VA), now operating the largest telehealth programme in the country. Last year, more than 700,000 veterans participated in telehealth services through the VA.
Men and women from urban Houston to rural Idaho received check-ups and counselling from desktops, tablets and smartphones; diagnostic metrics were delivered through secure, high-speed internet; 300 providers were connected through 67 VA hospitals and clinics, offering 50 clinical specialties, from dermatology to intensive care. Instead of travelling three hours to visit their care providers, these veterans are travelling an average of 15 minutes and the care is receiving high marks. Veterans gave these telehealth services satisfaction scores ranging from 88-93%. Those statistics may be about to spike. Veterans all over the country may soon be conducting their medical appointments virtually with telehealth technologies, in venues they find almost as familiar as the home itself - local posts of the Veterans of Foreign Wars and the American Legion. Other healthcare systems boarding the Telehealth Express include Westchester Medical Center Health in New York’s Hudson Valley, which is using telepsychiatry to reduced missed patient appointments by 30%, as well as providing access to behavioural health services for students in rural Delaware County through Margaretville Hospital. Emory Healthcare in Atlanta has saved more than $4.6 million by reducing stays and re-admissions among rural Georgia intensive care patients. Avera eCARE’s virtual hospital reaches across 16 states and nearly 400 communities, serves 13% of the nation’s critical access hospitals, and partners with hospitals, clinics, schools, long-term care communities and correctional facilities. Finally, Northwell Health is using telehealth for behavioural health and stroke care. It recently expanded the programme by partnering with LiveOnNY to use their tele-intensive care unit to support organ donations, increasing organ referrals by about 121%, timeliness by 9.5% and donations by 33.9%. Each of these organizations has deployed telehealth strategies that reduced cost while increasing effectiveness and efficiency. So if telehealth is such an obvious solution to the problem of healthcare access, why has it not been adopted as readily as the railroads were in the 1800s? There remain multiple barriers. First, the financial case. Insurance reimbursement models are built around physical visits. When reimbursement policies begin to assume that telehealth visits are “real” medical appointments, adoption will increase. This financial incentive is crucial. After all, the engine driving the completion of the transcontinental railroad was the discovery of gold in America’s West. Second, a robust broadband infrastructure necessary to convey great volumes of data is not universal. Some US regions are wired “hotter” than others, a disparity that favours cities over rural areas. Third, some of the cost savings inherent in telehealth technologies must accrue to the patients - not just providers and hospitals - to incentivize patient preference. Fourth, there is a need for standardization of information formats so that data collected via one telehealth system in San Diego can be compared or integrated with data collected in another in Charleston. Finally, we wait for healthcare regulation, which is managed state by state, to catch up to the geographically agnostic technology of telehealth. There is no reason why the VA’s recent super-state telehealth rule could not be extended beyond the government sector. We have the technology, the data, and the adaptive intelligence tools to make sense of the data, to help reduce cost and improve patient outcomes. 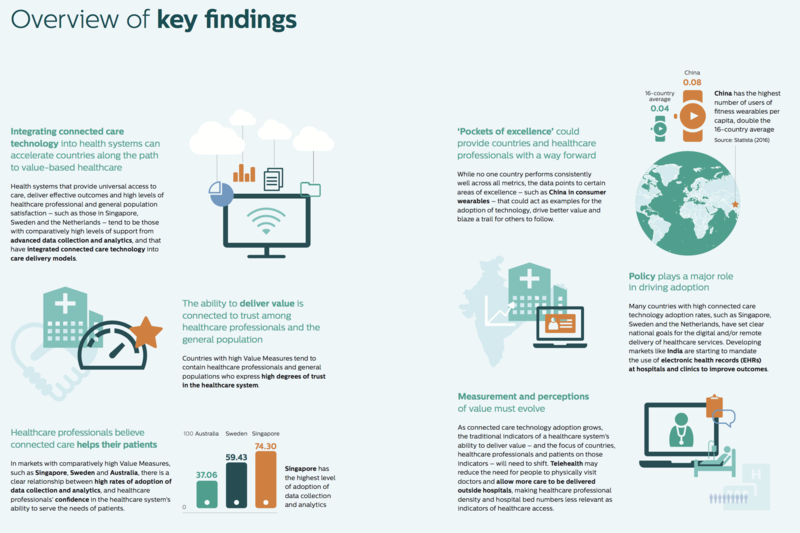 With the statistics and proof that telehealth works, what is holding us back? What can or should be done to advance it? While telehealth may not be the whole answer to the challenge of access, it will help lay the tracks. Ultimately, it will take patients, providers, payers, government and non-profits to align with the idea that healthcare should be more seamless, more preventive, and in this case, more virtual. We all have a role to play in getting this train to its destination. The engine is primed. It's time to get aboard.